TradCatKnight Newsletter (May 2014) "Love's Discipline"
Every now and again it is good to reflect on past experiences, not only to help us grow from our mistakes, but also to take the “good” out of those experiences. In so that it may help us to continue to build upon already existing virtue which comes thru the aid of grace. In this modern world, how often do we hear the claim that, “traditionalists”, otherwise known as true Catholics(Rejecting Vatican II outright &New Mass), are not charitable. In a world so materialistic this word “love” is often misused and misinterpreted. We have the homosexuals who think they “love”; the modernists of Vatican II who think they “love”. And yet when the bonds of Faith are broken no true Love can possibly be given. Did Christ preach the Gospel of coexistence & convergence with other false sects & religions? Truth is Love where truth is not Love is not. Yes, we know these souls do not have the proper understanding of love because man has become center and summit. Self has been throned in the hearts of men and the Infant Jesus has been kicked to the curb. I have often been accused of not being “charitable” but allow me explain the depths of His Heart using some past examples. I recall, very early on in my business career, long before Our Lady &Lord, would call me out of the world, a certain superior who I deemed not so “nice”. He was very proactive and high energy. A six cups of coffee a day type of guy. Every week we would have to call in our “numbers” as managers to him and no matter how much my numbers would impress my peers and subordinates the numbers always were not enough to him. It seemed nearly every week we would have “discussions” and I could never understand why he seemed so “unloving” and harsh to such a productive employee but also to the rest of the employees in our region. Due to this I eventually left for another opportunity while working through graduate business school. Years later I would encounter the same personality type but on a much larger scale responsibility wise. It dawned on me upon reflection from both of these previous bosses, that the inevitable, I could not escape. And what was this I was running from? Answer, Perfection! That is, each and every day, no matter how successful one may have been in the past, we must strive in the uniting of the will and intellect toward and even greater success. And what is this success in the spiritual life? It is not only the complete denial of self but its utter annihilation and removal from our very being which we lead to God absorbing more of us. To the degree we let go is the degree He can sow. Question? Can we use these principles in the spiritual life? Answer, Yes! Did not Our Lord call us to perfection? Did not the Saints so closely imitate Our Lord that we can say they were perfectionists? Ought we be complacent with the grace He gives and waste our talents? For if He cannot trust a soul in the little things how would He dare to give an even bigger responsibility which would only require greater grace. As a past athlete I look at the dedication that was necessary to achieve what was achieved and how would this be possible without those mentors who so “unlovingly” pushed me for something even greater that what I thought I could achieve. How could I achieve this without all the naysayers around me? Is not Christ now perfecting in us a more sharper Image of Himself by gifting us with the modernists who surround us and a sick liberal world who “loves” anything but truly the Truth? Ah! But the sinner will say I shall never be “this”… or that is impossible. And yet it is….that is, without grace. My good friends, did not Our Lord lay down the path to Perfection, by suffering what He did not owe, only so that I might by strive to achieve what He already gained for us. Yes he saved us but Love demands & commands us to work for Love is disciplined. Even as Faith without works is dead so too is a supposed “love” without works is dead; for in the End Love remaineth and it is there we are certain that we shall be alive forevermore. And so what is this Perfection? It is perfectly joining our hearts and minds with that of His Sacred heart. Oh, How simple man says it is! And yet why are their only a few who shall enter therein. Does not “Love” sometime” seem to be tough even in the most orderly homes? Does not the Coach push his players both mentally and physically only to show them what can be achieved both individually and as a unit? Why did the Saints take upon them vast penances which to the modern man seem so ridiculous? For modern man is a surface dwelling creature hardly penetrating within long enough to understand the true Law of His Heart within. The fine wine is only made from a crushed grape even as the sinner pressed upon by hard and harsh crosses is eventually turned into a Saint. Upon reflection, my previous bosses achieved their success by being disciplined. First, by being disciplined by their own superiors and then by carrying out the same line to their subordinates. Who can achieve greatness in any venture or career without being disciplined? Who can raise an orderly home without first being disciplined themselves? If men at the beginning of the onslaught of Vatican II had been disciplined enough in true love the majority would not have went along. But men failed love and hid themselves under a smile in cowardice marching as lemmings off the cliffs of true Faith. My previous bosses were only trying to get out of me what they knew I could potentially be and yet how often I resisted. How often does Our Lord grant a soul a heavy Cross only to be lamented with complaint and murmuring not realizing that it is the weight of this Cross that will crush the “self” so that Christ, Who is Love, alone would remain. I must decrease so that He may increase but to the the world this is folly. The latest fad on the internet is the “Selfie”. Does this not perfectly fit into what I am saying; God is removed and the self has taken the place of man’s God. There is no question due to the erroneous perception of love by the modern world men would rather smile and be quiet rather than take out the whip or use fists because they only live by what they can see carnally. I, too, am guilty, upon looking into my past to those whom I thought were uncharitable but now looking back I can see the immense love that they were trying to give. In the end, we all want to get to heaven but only a few are willing to accept Love’s discipline which is necessary to get them there. Love does not always come under the guise of a smile but often through a thunderous voice and scowl. Yes, in Love’s protection of the Faith it seems we find ourselves in a never ending fight against this “uncharitable” routine by the many that teach their false doctrines and hold to compromising positions and do so with a smile. What a wicked time and generation we live in. “Love” is not love to modern man; it is truly lust, for man has replaced God as Center, Summit, Source and End. Men love Vatican II because they love themselves and not the Truth, therefore, God in His Omnipotence allowed it. He will allow men to see what will become of the world without Truth, true love and her discipline. Lust, which is modern mans flavor of love shall continue to breed darkness, chaos and ruin into the world. For when they shall shout “peace and love” and the Dogma of Faith is lost it will be the most darkest. Nay, just as we discipline the body to train it to grow in size so do we in the spiritual life unseen. For in order to grow in “love” we must deny what we think is ours so that we might gain the only One worthy enough to be throned in our hearts. Yea, I love because He is and I am only because He said He was and forever shall be, therefore, this is enough for any heart. Does true Love require at times a thunderous voice or even violence? Yes and we can thank this modern world and its supposed progression for the regression of the proper understanding of the word Love. Still further, do we love by shaking hands with the Church’s enemies who now reside on high? Answer: In the negative. We can only achieve thru grace what our hearts are willing to accept but can the majority of hearts accept Christ alone? The answer is a resounding, no! How many I have met over the years who say they would give it all up for Jesus and so I ask “Why don’t you?” Then the outpouring of excuses gushes out. Should it be any wonder why the Lord will allow a worldwide economic collapse and such atrocities the world has yet to see? All done without any break in God’s nature Who in love shall reroute hearts back unto the proper understanding of Him Who is Love which can only be acquired in holding the proper norm of Faith. Verily, accept what God puts in front of you; accept the people He surrounds you with. For even as the Great Architect of the Universe has orderly planned natures course so has He chosen to surround you with the circumstances you face and the people you meet daily. Ah! Such opportunities around us that we see on the surface as only “evil” but in reality are allowed to further your own soul in love. Therefore, do not run from those who try to get the best out of you even if on the surface they don’t seem so nice. In a liberal world how much harder is it going to be to re-implement true order back into Society? And will this not come under the banner of just force? Indeed, it shall! But the liberal will claim it’s not “love”. Why would you make me accept the Divine Law and Catholicism? It is not that we can take away a man’s free will but man’s free will does not precede nor supersede Gods Right to have His laws govern the world. This is His world not ours but men are too prideful and inflated, like the modernists of Vatican II and their “new humanism”, to see the proper understanding of this true liberty. Modern man is very undisciplined and seeks out further comfort and the thought of suffering including poverty is only an afterthought excuse to build this new world order “utopia’. The communists, who pretend to love, by using poverty and environmentalism as an excuse, to get across their pseudo "equality" agenda, are in high places just waiting for the right time to execute the final blow in “the Plan”. Take this day as it ought and live each day as if it were Lent; for the holy suffering which we must endure in grace is only preparing us for the Life to come which is Perfection. Logic dictates that if we seek to reside in Perfection Forever, ought we not, at least, by way of the heart in intent strive for it? The soon chastisements are further proof of Gods Mercy but also speaks to “Love’s” discipline which is required for each soul to live by daily. And what a hard price the many shall suffer soon in this rerouting of hearts back unto God their Creator, Source and End. What a sobering thought to know that even in the apex of Holy Christendom the majority of souls went to hell and what can we say in this hour when the very word “Love” has been turned upside down in perversion. Amen. Ave Maria! Mayst the good God speakest to the hearts of men and let this be! Persevere under discipline. God dealeth with you as with his sons; for what son is there, whom the father doth not correct? 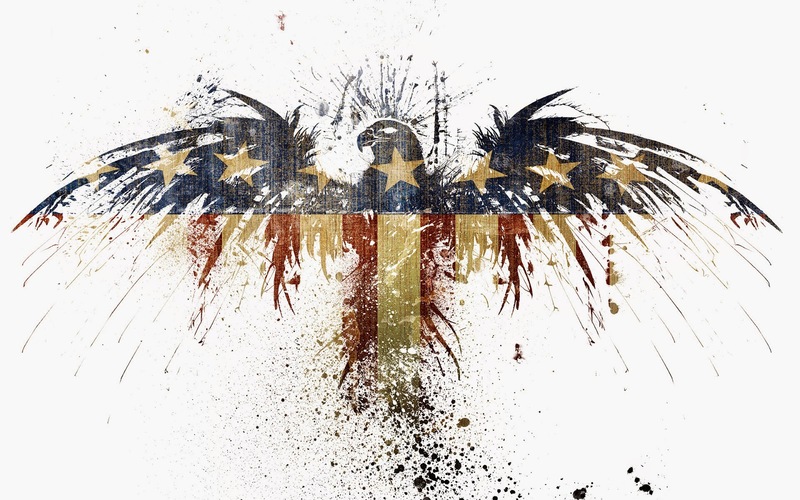 Liberalism is war on God, and it is the dissolution of truth. Within today’s Church crippled by liberalism, sedevacantism is an understandable reaction, but it still credits authority with too much power over truth. The modern world has lost natural truth, let alone supernatural truth, and here is the heart of the problem. For our purposes we might divide all papal teaching into three parts. Firstly, if the Pope teaches as Pope, on Faith or morals, definitively and so as to bind all Catholics, then we have his Extraordinary Magisterium (EM for short), necessarily infallible. Secondly, if he does not engage all four conditions but teaches in line with what the Church has always and everywhere taught and imposed on Catholics to believe, then he is partaking in what is called the Church’s “Ordinary Universal Magisterium” (OUM for short), also infallible. Thirdly we have the rest of his teaching, which, if it is out of line with Tradition, is not only fallible but also false. By now it should be clear that the EM is to the OUM as snow-cap is to mountain. The snow-cap does not make the summit of the mountain, it merely makes it more visible. EM is to OUM as servant to master. It exists to serve the OUM by making clear once and for all what does or does not belong to the OUM. But what makes the rest of the mountain visible, so to speak, is its being traceable back to Our Lord and his Apostles, in other words, Tradition. That is why every EM definition is at pains to show that what is being defined was always previously part of Tradition. It was mountain before it was covered in snow. By now it should also be clear that Tradition tells the Popes what to teach, and not the other way round. This is the basis on which Archbishop Lefebvre founded the Traditional movement, yet it is this same basis which, with all due respect, liberals and sedevacantists fail to grasp. Just see in the Gospel of St John how often Our Lord himself, as man, declares that what he is teaching comes not from himself but from his Father, for instance: “My doctrine is not mine but his that sent me” (VII, 16), or, “I have not spoken from out of myself; but the Father who sent me, he gave me commandment, what I should say, and what I should speak” (XII, 49). Of course nobody on earth is more authorized than the Pope to tell Church and world what is in Tradition, but he cannot tell Church or world that there is in Tradition what is not in it. What is in it is objective, now 2,000 years old, it is above the Pope and it sets limits to what a Pope can teach , just as the Father’s commandment set limits to what Christ as man would teach. Then how can liberals and sedevacantists alike claim, in effect, that the Pope is infallible even outside of both EM and OUM ? Because both overrate authority in relation to truth, and so they see Church authority no longer as the servant but as the master of truth. And why is that ? Because they are both children of the modern world where Protestantism defied the Truth and liberalism ever since the French Revolution has been dissolving objective truth. 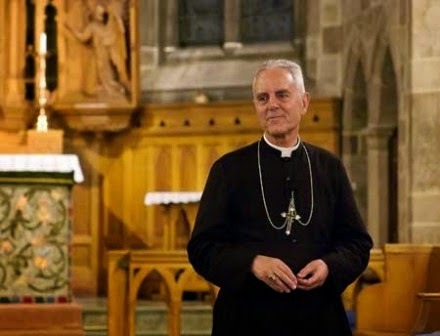 And if there is no longer any objective truth, then of course authority can say whatever it can get away with, which is what we observe all around us, and there is nothing left to stop a Paul VI or a Bishop Fellay from becoming more and more arbitrary and tyrannical in the process. Mother of God, obtain for me to love, discern and defend that Truth and order coming from the Father, both supernatural and natural, to which your own Son was as man subject, “unto death, even to the death of the Cross”. The Church’s sedevac and liberal pains. TradCatKnight Exclusive: "Back to the Catacombs"
"If there should ever come a day -- We say this as a matter of pure hypothesis -- when the physical reality of Rome were to crumble; if ever this Vatican Basilica, the symbol of the one, invincible, and victorious Catholic Church, were to bury beneath its ruins the historical treasures and the sacred tombs it enshrines, even then the Church would not, by that fact, be overthrown or undermined; the promise of Christ to Peter would always remain true, the Papacy would continue unchanged, as well as the one, indestructible Church founded on the Pope alive at that time." "Thus it is: Rome the Eternal in the supernatural and Christian sense, is superior to the Rome of history. Her supernatural and eternal truth are superior to and independent of the historic City." Over the past few years I have been asked numerous times to compile a more general timeline for events ahead. Please be reminded, that what we should stay focused on daily, is staying in a state of grace and doing our part to appease God. In so that, we might mitigate what is about to soon happen because it now cannot be avoided. Therefore, fast more regularly, do stricter penances, even more so than what is required by your confessor. Give alms, selflessly serve AND as prudence would dictate start to prepare for this transition into the new dawn of the Immaculate Heart of Mary. i am always butting heads with clergy including traditionalists who think we should just bury our heads in the sand. This is NOT what our Lord and Lady want. We ought prepare prudently. Joseph knew the long famine was coming and in prudence he stored grain for his people for 7 years so that they could make it thru. It is no different in our times but please let us remember God is our Source and no matter what if it is His Will we will carry on no matter how small a supply we maintain. Get in the habit of detaching from self and the world which is every Christian's basic duty. Theologically, in terms of the sacraments, you cannot attend anywhere in which Vatican II & the New Mass are not rejected as a whole unless it is an emergency. 1) Look for continued progessivism from Antipope Francis as we head closer to the "formal" Apostate Church(Church of Darkness-Bl Anne Emmerick). This means it is the globalists plan to have all religions united via an excathedra(will be invalid of course). Pope Emeritus Benedict is the one to flee Rome and those Novus Ordo cardinals who resist this formal apostasy as well will be sent on the run following Benedict XVI. this occurs more generally around the Italy Revolution, Occupy the Vatican Movement then Russia should invade Italy and raise her flag over the Vatican. According to the general picture of this "split" we may be Pope less in a true period of sedevacantism for about 2-3 years depending upon the faithfuls prayers and sacrifices. Francis will have his part in the formal unification of all religions however he is still just a setup for the False Prophet, the Master Jesus, who is slated to takeover the Seat of Peter.We already see more evidence of the attack against the Papacy. This Master Jesus(name still unknown but he is Syrian) will not call himself a Pope. 2) Look for continued natural disasters both increasing both in frequency but also in intensity(birth pang contractions). 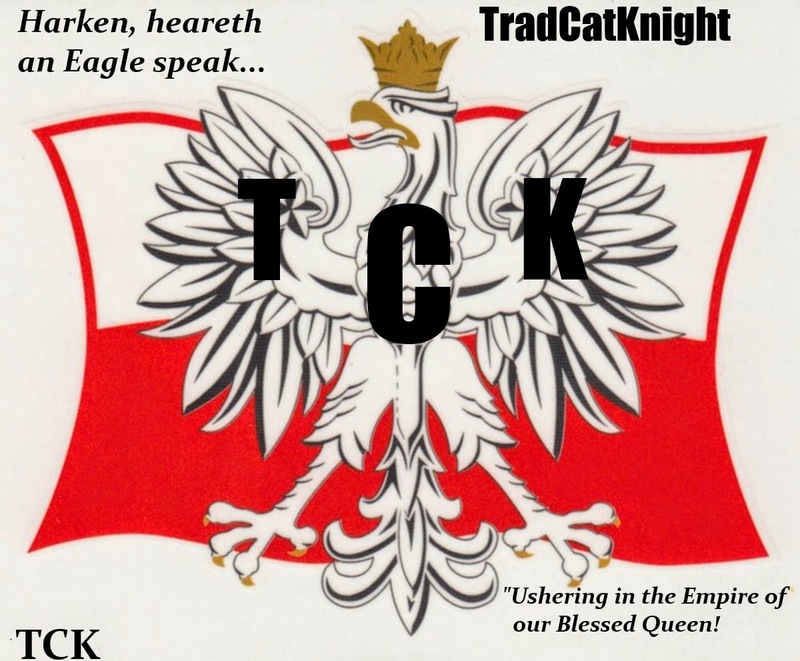 See the latest TradCatKnight production of global events happening. They will continue to increase both in intensity and in duration. Think like how a woman in labor has more contractions and they are more intense as she gets closer to birth? So, birth to what in this case? Once the Apostate Church arrives people will think the Catholic Church is gone but She will rebirth so to speak. Therefore as these natural disasters increase and become more violent know that we are closer to the three days of darkness(great chastisement) and the soon rebirth. I will cover this mystically in detail in my book. 3) Look for more world war 3 propaganda these Jews promote to get the east to square off with the west, Christianity versus Islam...etc. The Jews are behind Vatican Ii and the New World Order. Have we not seen this recently in the Jew run mainstream media news? 4) Look for more false flag events in America and abroad to take away more basic legitimate rights and to establish more of a police state. For when the economic collapse happens it will be easier to maintain and control the populace. They want to disarm as much of the population as possible before martial law and the eventual foreign invasion. DON`T BELIEVE AMERICAN TROOPS WILL DISARM AMERICANS? 5) Look for more godless Communist practices, policies & laws. This is the New World Order the Church has warned us about for so long and the Apostate/Harlot Church to go with it. 6) These evil men are smart and deceptive not only getting souls to think the Zionist state of Israel is "OK" with God they constantly promote this false peace sweeping the nations thru Vatican II(ecumenism). Therefore, look for further peace talks between religions because either shortly before or after world war 3 will be when this invalid excathedra is made and they will say its necessary to accept due to how many lives have been lost or could still be saved, make sense? After all aren't we equal according to our human dignity? This is Communist/Masonic perversion. Don't fall for this trap you need to remain a true Catholic and deny these doctrines of devils to get to heaven even if it costs you your life. A false peace treaty will be made and within the year there will be outbreak of war. Brethren, these events are scripted LONG in advance. 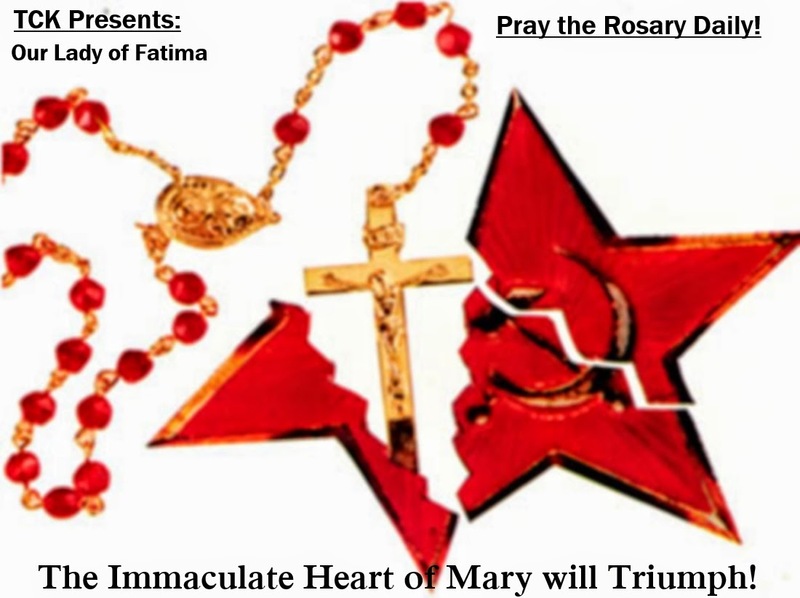 7)The true era of peace is not what the Vatican is currently promoting which has been hijacked by Jews/Masons/modernists/liberals/Socialists/Communists, etc....it will be the Triumph of Mary's Immaculate Heart when Vatican II is rooted out of the world when Holy Christendom and Catholic Monarchies are revived. When communism and Islam are subdued. It will last a generation that is all. It is short and this delays the actual reign of antichrist. 9) Look for more signs in sky, sun, moon and stars for a divine chastisement from heaven is coming as well. The 3 days of darkness will occur AFTER the outbreak of world war 3 and Islam and Communism freely move about the nations militarily. 10) Look for continued persecution of "traditionalists" (Catholics) and anti catholic propaganda in general. For such is from the Jews/Illuminati who are close to putting the final blow to the Church as an organization.As Francis gets even goofier and more liberal (yes it will happen hard to believe) true Catholics will be persecuted even more. Novus Ordites are going to have to make a harsh decision soon. Francis &Master Jesus or Benedict fleeing. It is sad that I should even have to state this for any Catholic should know at that point all religions are not equal BUT in this hour one never knows. From Possible Antichrist Maitreya "Fundamentalism and dogmatism are coming to an end. That time is quickly passing. Maitreya teaches that the moment a person gives up his brand of ‘ism’ he will be free. ‘‘He will find that I am within him for I am free of all ideologies. I have come to teach you not to cry out for Me. The gurus and religious fanatics cry out for Me and the end result is that they never know Me,’’ the Master says. ‘‘You are not born in sin, as they insist on telling you. For I am with you and you are with Me." 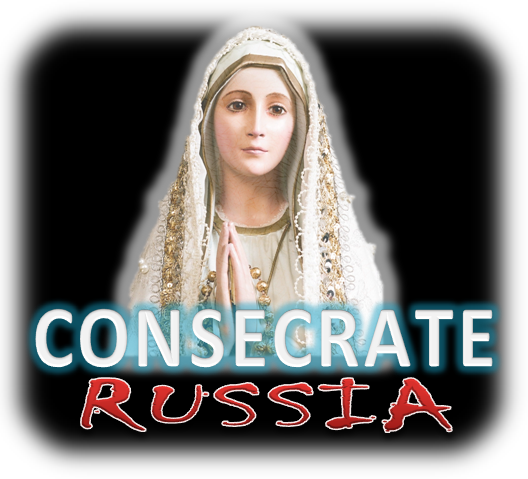 11) Look for the consecration of Russia that we pray for daily. This will not come from Antipope Francis but rather by the successor to Benedict XVI after the war breaks out. Once that nation is converted and the Russian empire is reborn and joins the Roman Catholic Church(after chastisements start) its lights out to invading Islam/communists & New World Order. However, Russia is going to learn a very harsh lesson beforehand form the Hand of the Father. Please watch my comprehensive Catholic Prophecy video for even more details, Ave Maria! Holohoax & the "6 million"
The Church is not a school of religion?